This Monday, May 28th, is Memorial Day. Do we take as much time planning for the celebration as we do the food and family/friends activities? Probably not. 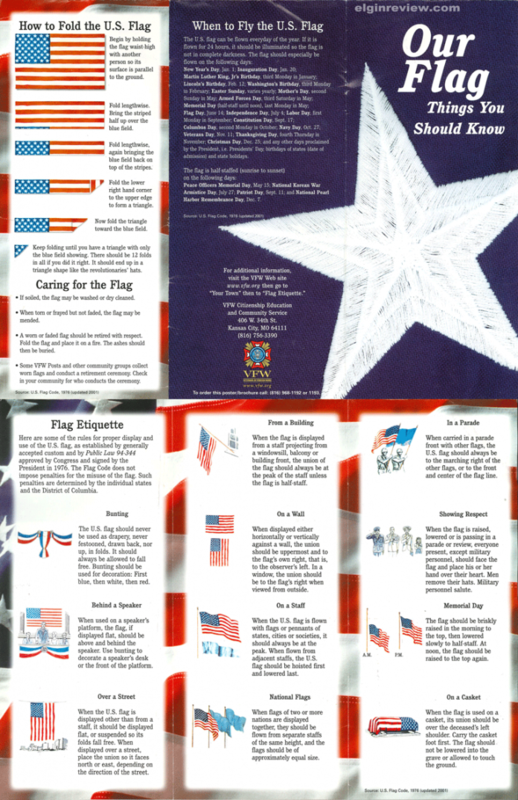 We are sharing service information plus some things about the flag that you may not know. The program at Park Center Cemetery is scheduled to begin at 10 a.m.
Then, one hour later at 11 a.m., Father Kevin Vogel of St. Boniface Catholic Church here in Elgin will give the address at West Cedar/St. Boniface cemeteries north of town. American Legion Auxiliary Unit 229 and VFW Auxiliary Unit 5816 will be hosting a lunch at the KC Hall following Memorial Day services. Everyone is welcome to attend both the services and the lunch. The lunch is free of charge. 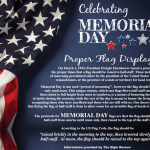 Petersburg American Legion Post #334 will sponsor the Memorial Day program Monday at 9 a.m. at the Legion Hall. The Memorial Day program at Oakdale Cemetery will be held Monday, May 28 at 11 a.m. 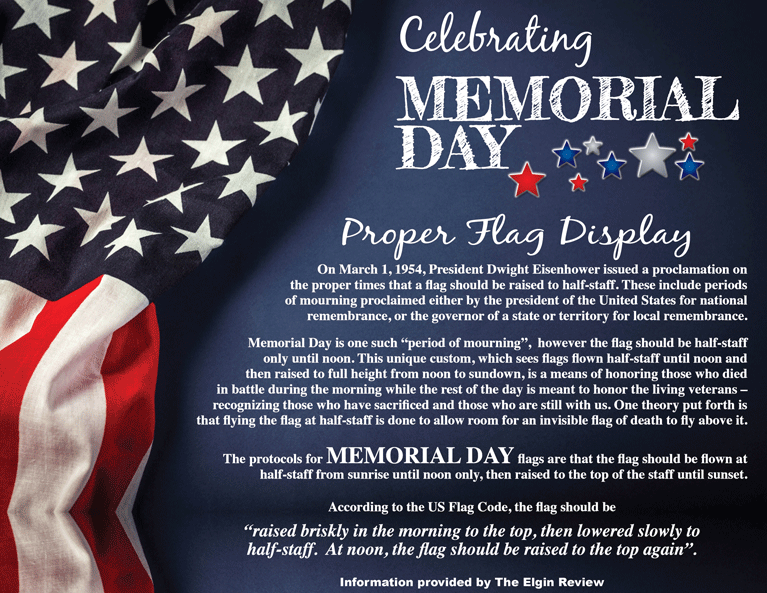 Complete Memorial Day services information are in this week’s issue of The Elgin Review.